The RAT welcomes Primus and Mastodon to the Stone Pony Summer Stage on Friday, June 1st. Get tickets HERE! The RAT welcomes Slayer to the PNC Bank Arts Center on Saturday, June 2nd. Get tickets HERE! The RAT welcomes Dirty Heads to The Stone Pony Summer Stage on June 2nd. Get tickets HERE! The RAT welcomes Nathaniel Rateliff and the Night Sweats with special guests The Head and The Heart with Hiss Golden Messenger to Forest Hills Stadium in New York on June 9th. Tickets go on sale Friday, January 26th. Get your tickets HERE! The RAT is proud to welcome: Imagine Dragons at PNC Bank Arts Center on June 9th. Get your tickets HERE! The RAT welcomes U2 at the Wells Fargo Center on Wednesday, June 13th. Get tickets HERE! The RAT welcomes Journey and Def Leppard to Madison Square Garden on Wednesday, June 13th. Get tickets HERE! The RAT welcomes U2 at the Wells Fargo Center on Thursday, June 14th. Get tickets HERE! The RAT welcomes Journey and Def Leppard to the Prudential Center on Friday, June 15th. Get tickets HERE! The RAT welcomes Foreigner and Whitesnake to the Jones Beach Theater on June 22nd . Get tickets HERE! The RAT welcomes Lynyrd Skynyrd at the Nikon Theater at Jones Beach on June 23rd. Get tickets HERE! The RAT welcomes Foreigner and Whitesnake to the BB&T Pavilion in Camden on June 23rd. Get tickets HERE! The RAT welcomes Styx, Joan Jett & The Blackhearts and Tesla at the Nikon Theater at Jones Beach on June 29th. Get tickets HERE! The RAT welcomes Umphrey's McGee the the Stone Pony Summer Stage on June 30th. Get tickets HERE! The RAT welcomes Foreigner & Whitesnake to the PNC Bank Arts Center June 30th, 2018 Get Your Tickets Here!!! The RAT welcomes U2 to Madison Square Garden on Sunday, July 1st. Get tickets HERE! The RAT welcomes Foo Fighters to the BB&T Pavilion on July 7th. Get tickets HERE! 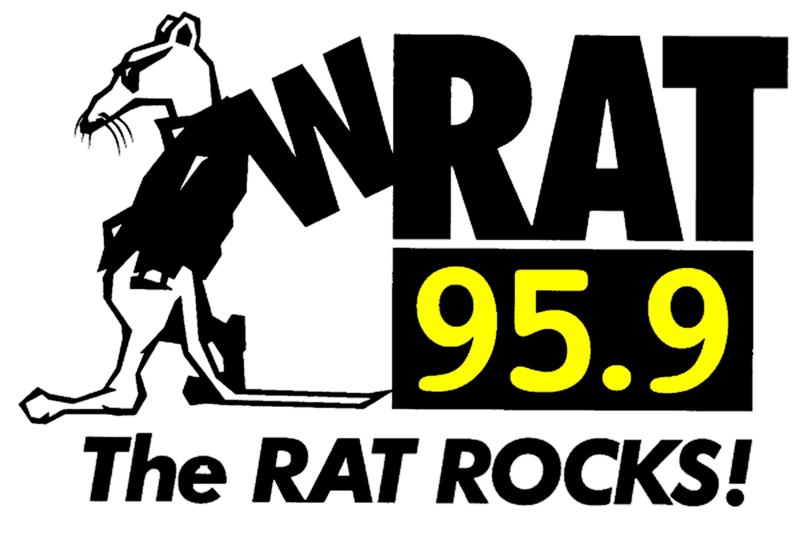 The RAT welcomes The FINAL Vans Warped Tour to The PNC Bank Arts Center July 14th. Get tickets HERE! The RAT welcomes Foo Fighters to the Nikon at Jones Beach July 14th. Get tickets HERE! The RAT welcomes Joan Jett & The Blackhearts and Styx with special guests Tesla at the PNC Bank Arts Center on July 15th. Get tickets HERE! The RAT welcomes Foo Fighters at Madison Square Garden on July 16th. Get tickets HERE! The RAT welcomes Foo Fighters at Madison Square Garden on July 17th. Get tickets HERE! The RAT welcomes Weezer & The Pixies at PNC Bank Arts Center on July 20th. Get tickets HERE! The RAT welcomes Weezer and The Pixies to the BB&T Pavilion on July 21st . Get tickets HERE! The RAT welcomes Chicago + REO Speedwagon at the PNC Bank Arts Center on July 29th. Get tickets HERE! The RAT welcomes Smashing Pumpkins at Madison Square Garden on August 1st. Get tickets HERE! The RAT is proud to present: Evanescence at PNC Bank Arts Center on August 10th. Get your tickets HERE! The RAT welcomes Black Label Society to The Starland Ballroom August 11th. Get tickets HERE! The RAT welcomes Jeff Beck, Paul Rodgers & Ann Wilson of Heart to the PNC Bank Arts Center Sunday, August 12th! Get tickets HERE! The WRAT's 2018 Nutcracker Ball features Breaking Benjamin December 18th, 2018 at the Starland Ballroom! The WRAT ticket pre-sale is on Thursday, September 19th from 10am-10pm. Tickets go on sale this Friday, September 20th via ticketmaster.com. For the WRAT's presale visit WRAT.com for the link and password for tickets. The RAT welcomes Life of Agony to Bowery Ballroom on September 29th, 2018. Get your tickets HERE! The Rat welcomes The Australian Pink Floyd Show to the Count Basie Theater on October 3rd. Buy Tix HERE! The Rat welcomes Gary Clark Jr. to the Gramercy Theater on October 5th. Buy Tix HERE! The Rat welcomes Modest Mouse to the Wellmont Theater on October 10th. Buy Tix HERE! The WRAT welcomes the Jack Russell's Great White to The Stone Pony on October 11th. Get tickets HERE! The RAT welcomes Metallica to the Wells Fargo Center on October 25th! Get your tickets HERE! The RAT welcomes Joan Jett and The Blackhearts to The Count Basie Theater on October 27th, 2018. Get your tickets HERE! The RAT welcomes Bob Dylan and His Band to the Beacon Theater on December 1st! Get your tickets HERE! The RAT welcomes Chicago to the State Theatre on April 15th! Get your tickets HERE! The RAT welcomes Iron Maiden to the Wells Fargo Center on July 30th! Get your tickets HERE. The RAT welcomes Kevin Hart to The Hard Rock Hotel and Casino on December 28th, 2018. Get your tickets HERE! The RAT welcomes Gov't Mule to The Beacon Theatre on December 29th, 2018. Get your tickets HERE! The RAT welcomes Gov't Mule to The Beacon Theatre on December 31st, 2018. Get your tickets HERE! The RAT welcomes Gary Clark Jr. at the Beacon Theatre on March 21! Get your tickets HERE! The RAT welcomes Dream Theater to the Count Basie Theatre on April 10! Get your tickets HERE! The Rat welcomes Slightly Stoopid to the Stone Pony Summer Stage on June 29! Get tickets HERE!